Lots of people in the Pacific Northwest use heat pumps to heat and cool their homes and businesses. Heat pumps are efficient and well suited for the mild winters in Vancouver. The same is true of a heat pump water heater. 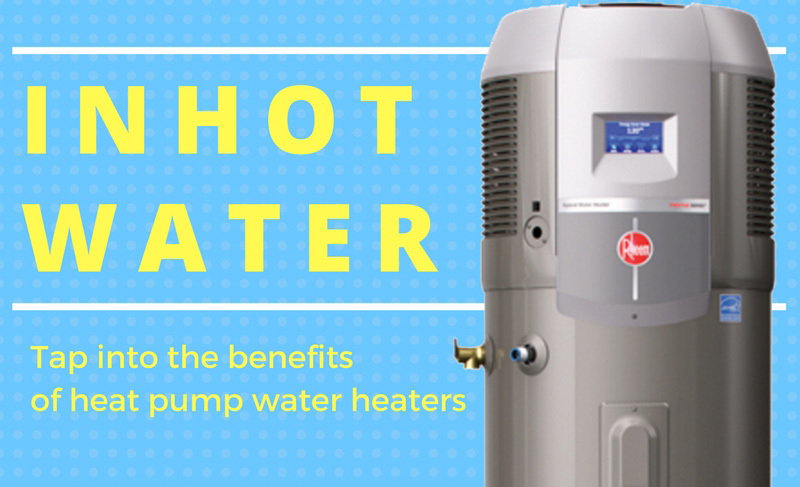 If you need a new water heater, here’s what you need to know about heat pump models. Heat pumps work by moving heat rather than generating it. The units pull warmth from the air. A compressor raises the temperature of the air before delivering it where it’s needed. After compressing air, the pump moves heat to water in the tank. Heat pumps work on the same principles as refrigeration, only in reverse. Heat pumps have a backup system. When the air is too cold to compress, the electric heater kicks in. A heat pump water heater is sometimes called a hybrid system because it uses two different technologies to produce hot water. The electric resistance system also comes into play during times of high demand, when your family may be using a lot of hot water at one time. This type of heater is two to three times more energy efficient than a standard electric unit. If your heater is more than 10 years old, you’ll likely save money on electric bills with any of the newer heaters. A conventional heater with an insulated tank, a tankless unit or a hybrid system will all keep your morning shower toasty for less. Check for coupons on our most popular water heaters, and don’t forget to check for government rebates on high-efficiency water heaters. A hybrid heat pump water heater is an investment in your home and comfort. These efficient appliances have a higher initial cost than standard models. The value comes in the energy savings, which will add up over the years. If you’re ready for a new water heater, lets us recommend a replacement model. Contact Simpson Plumbing to learn more about the Rheem Professional Prestige Hybrid Heat Pump or any of our other models. High-Efficiency heat pumps often qualify for special offers from Simpson Plumbing and government rebates. Click here to see current discounts.